Banana Republic and Gap are two of the most recognizable names in the retail industry. The two department store chains have made their own stamps on the industry, and they each have a wide and varied clientele. Nevertheless, the two have quite a lot in common, as you will see from this comparison article. Banana Republic is a U.S.-based clothing brand established as a travel-themed brand, Banana Republic was acquired by Gap in 1983. 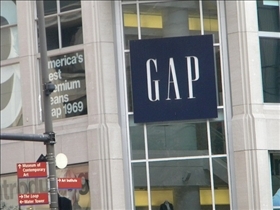 Gap is a U.S.-based clothing retailer with headquarters in San Francisco. Aside from the main Gap line, there are currently four other brands under the Gap label: Banana Republic, Old Navy, Piperlime and Athleta. The company currently employs more than 135,000 employees in almost 3,500 stores worldwide. The company is actually the largest specialty apparel chain in the U.S. and the second largest in the world after the Inditex Group. Banana Republic was established in 1978 by Mel and Patricia Ziegler. Much of its early marketing efforts revolved around its distinctive hand illustrated catalog that featured a selection of unique, high-end items depicted with fictional stories from exotic places. The travel theme carried over into the company’s stores, which often contained exotic and interesting design elements such as machinery, real plants and shrubbery, and even fog. After the company was acquired by Gap in 1983 it was reinvented as a more mainstream high-end retail store. In place of the previous tourist-oriented decor, the new Banana Republic stores were decorated with the more up market theme and feel that it is currently known for today. Gap for its part was established by Donald G. Fisher and Doris F. Fisher in 1969, and although shares in the company has since been made public, the two remained actively involved in the company’s operations, and in fact still own a significant portion of Gap, Inc.'s stocks. Donald Fisher was actually the company Chairman of the Board until 2004, and was an active board member until his demise on September 27, 2009. His wife continues to be active on the board, and the couple’s son, Robert has served on the company board and was in fact President and CEO for a time after the resignation of a previous CEO, Paul Pressler, in 2007. Banana Republic has over 500 stores in the United States and 26 stores in Canada. Arrangements are presently underway for the opening of additional stores in Asia, Europe, and the Middle East. 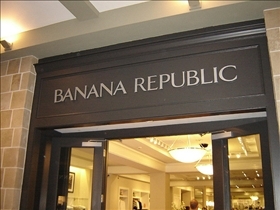 The first Banana Republic store outside North America was opened in Ginza, Tokyo in 2005. The company has since opened up stores in Seoul, South Korea, Kuwait City, Kuwait, Jakarta, Indonesia, and Kuala Lumpur, Malaysia. The first Gap store was opened in San Francisco on August 21, 1969, when its product line consisted mainly of Levi's products and vinyl records. A second store was opened in San Jose, California in 1970, and the first Gap headquarters was built in Burlingame, California. By 1972, the company had more than 25 stores, and had established a presence in the East Coast market. The company also purchased Banana Republic in 1983, re-branding it as a high-end clothing outlet. Where would you rather shop? Dubai vs. Singapore: Which is better?